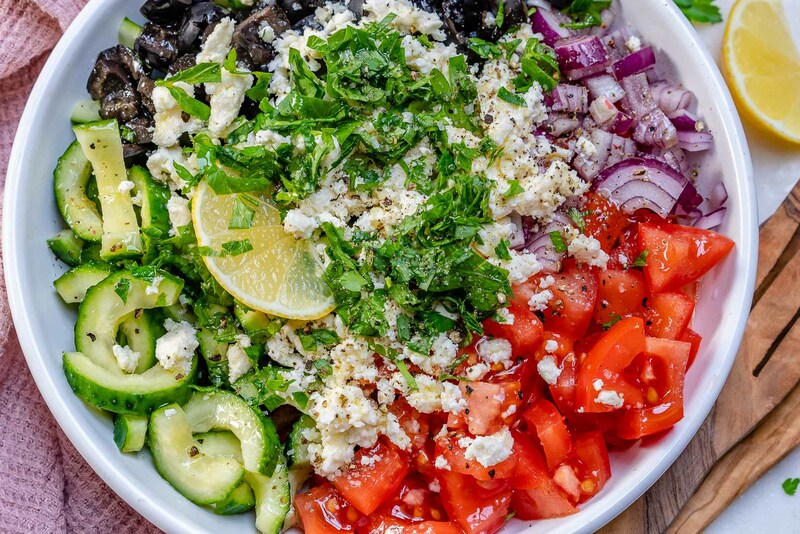 There is just something spectacular about a fresh crisp-chopped salad creation! So very simple and pretty basic…but each time I bite into one, I’m reminded how much I absolutely LOVE these types of salads. 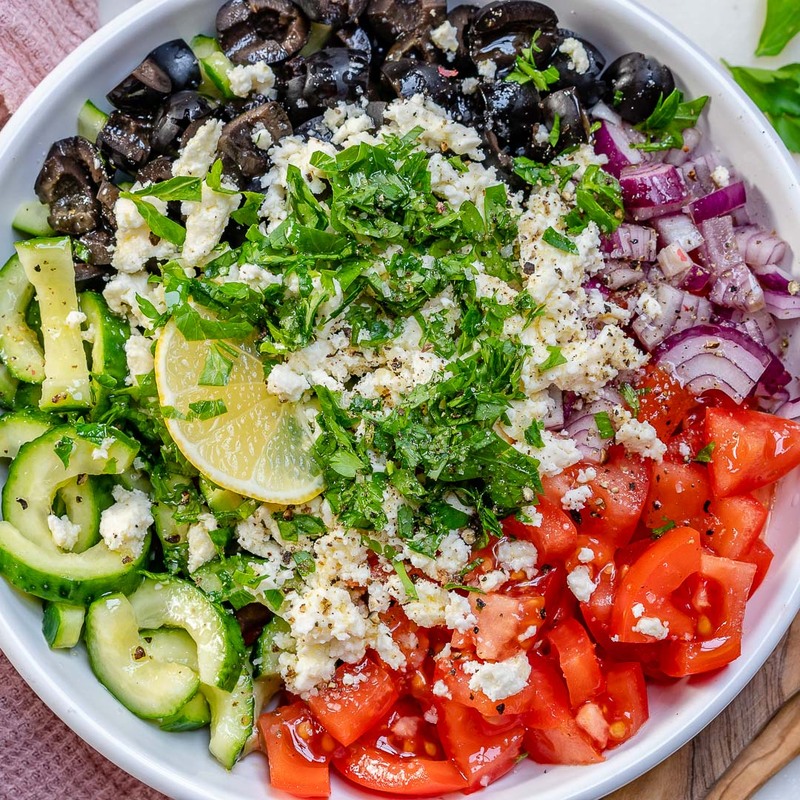 In a large bowl combine tomatoes, cucumbers, onions, olives and parsley. Season with sea salt and pepper to taste. 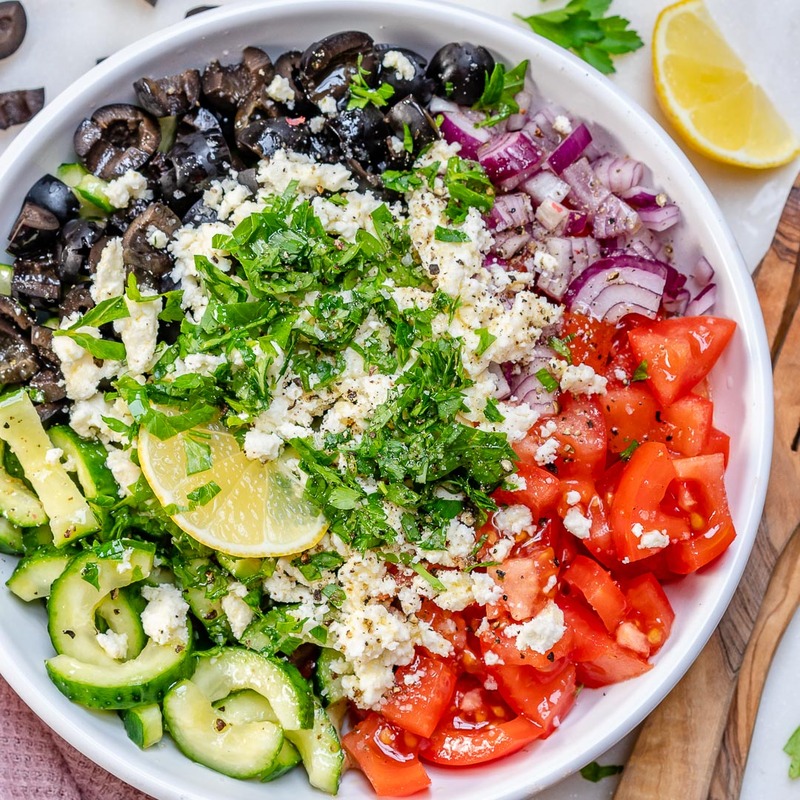 In a small glass container, whisk oil, vinegar and lemon juice, then pour over chopped salad ingredients. Gently toss to combine. 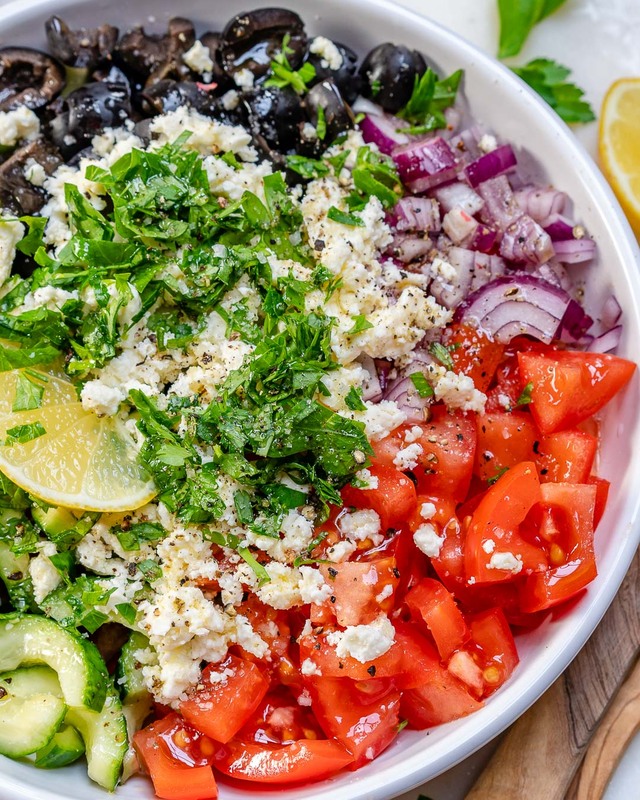 Sprinkle with crumbled feta cheese and garnish with lemon slices. 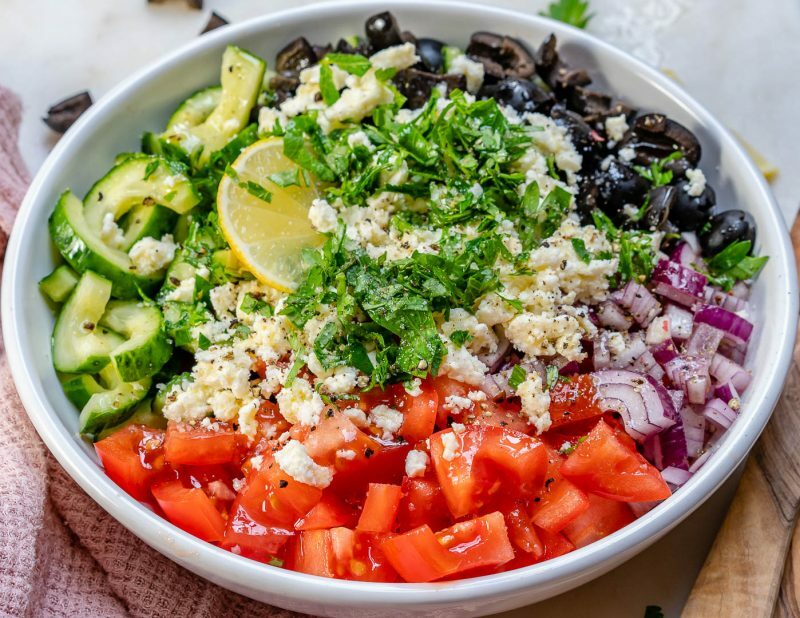 In a large bowl combine tomatoes, cucumbers, onions, olives and parsley. Season with sea salt and pepper to taste. 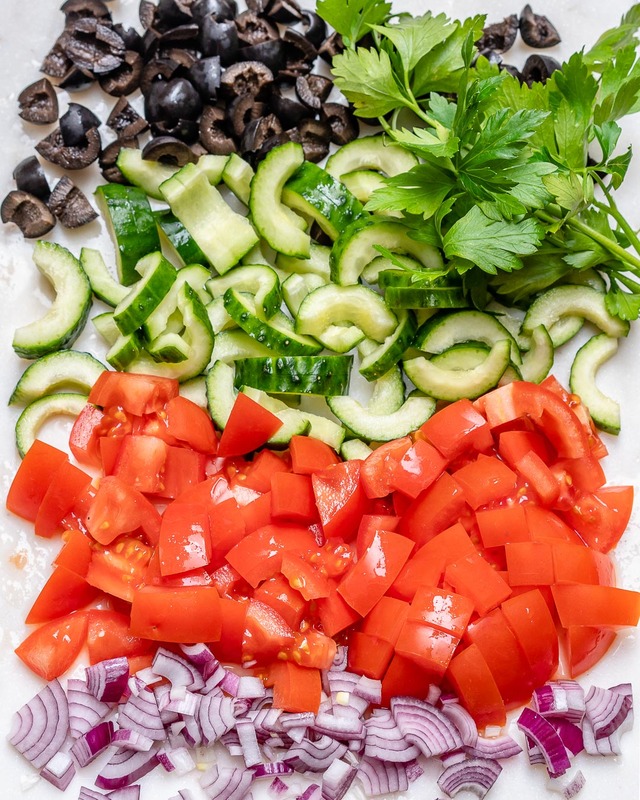 In a small glass container, whisk oil, vinegar and lemon juice, then pour over chopped salad ingredients. 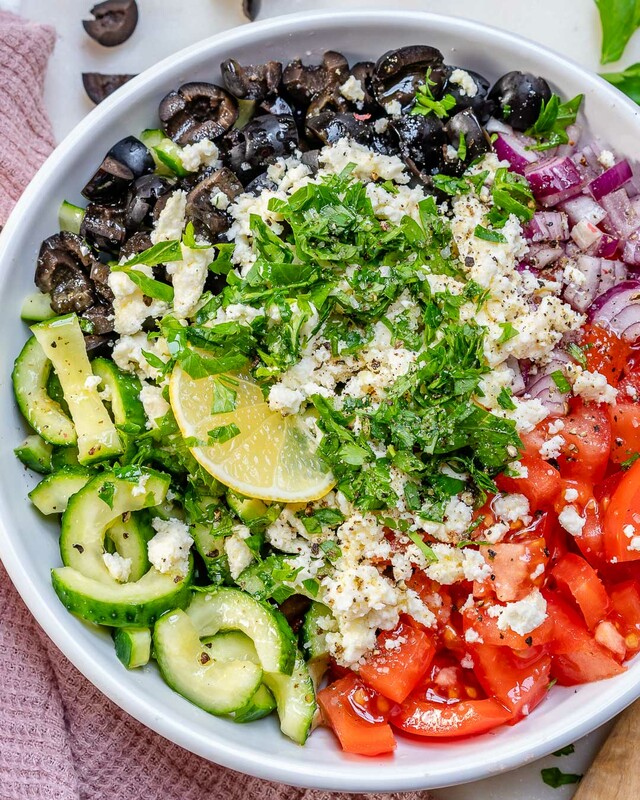 Sprinkle with crumbled feta cheese and garnish with lemon slices.